As one of the largest NASF chapters, the Metal Finishers of Southern and Northern California are known for their innovative and thought-provoking educational programming; impactful community outreach initiatives; high energy networking events and engaging sponsorship opportunities. Through our series of regularly scheduled meetings, we offer timely, practical information to members and other groups interested in learning more about our industry. 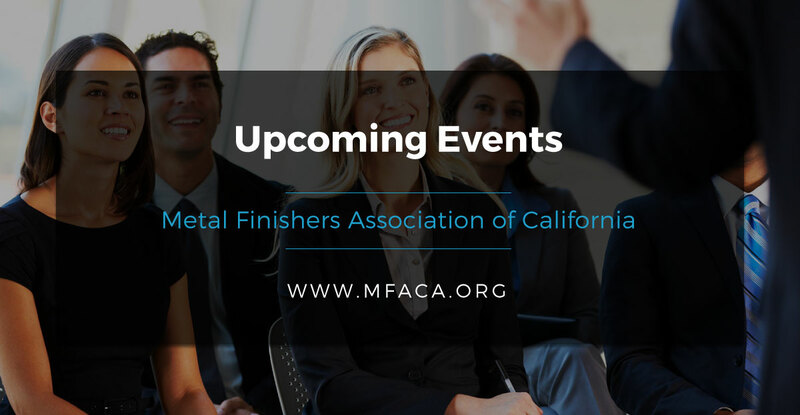 In addition, the Metal Finishers of Southern and Northern California conduct enlightening conferences, useful seminars and workshops focused on a variety of subjects, including environmental compliance, HazMat first responder awareness training, and other critical issues impacting our companies. 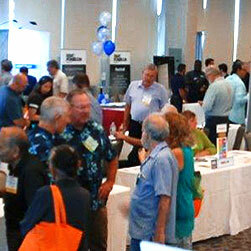 We invite you to join our Association of like-minded industry leaders and get involved! Experience the rewarding opportunities that the Metal Finishers of Southern and Northern California delivers to its members all year long. You’ll learn and grow your profession and your business. What’s even better, you’ll enjoy the process! Browse upcoming events by region or view a list of all events on the horizon. If you are not yet a member please visit our membership page to learn more about joining and attending events organized by MFACA.